If you drive an hour west from Madison, you will come to one of the prettiest valleys in Wisconsin. On one side of this valley is Taliesin, Frank Lloyd Wright’s Prairie School architectural masterpiece built in 1911. In this studio he designed Fallingwater and the Guggenheim. 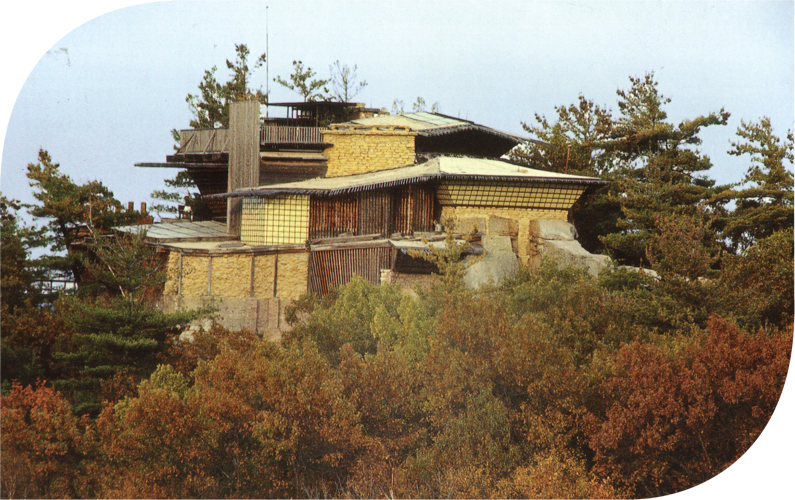 He spent two years on the design of Taliesin, which was inspired by Michelangelo’s Villa Medici and was meant to emulate the flatness of the plains. Wright had a vision for what he wanted it to be before he started work on it. On the other end of the valley is another structure (pictured above). The House on the Rock is a strange, eclectic, tin-roofed monstrosity, built by Alex Jordan in 1959. Jordan didn’t have a plan. He just started building, and adding on, and adding on. There was no vision, no strategy, just all execution. Today, it is a popular tourist attraction mostly for its weirdness and collections of musical instruments. As companies grow, it’s easy to fall in the trap of just winging it when it comes to brand architecture. Growth often means acquiring new brands or launching new brands and sub-brands at a rapid pace. But without a long-term brand architecture strategy, companies spend their resources inefficiently, weaken their brand power, and confuse their consumers and employees about what the brand stands for.